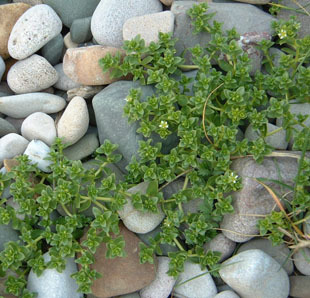 It is found all round the coast and in a few places inland. 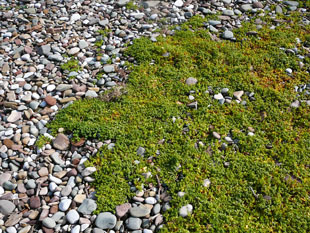 It is an early coloniser of mobile sand and sandy shingle. 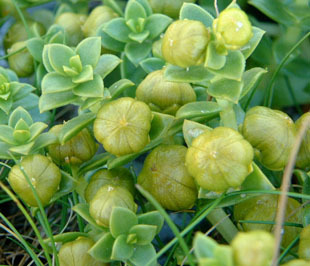 It forms large, spreading colonies due to its creeping stolons. 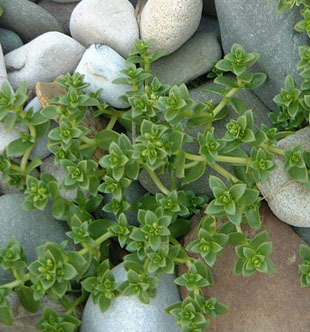 Flowers are greenish-white and up to 1cm. shorter than sepals in female flowers. Normally there are 5 petals (6 in the picture here). styles, and die off in female flowers. 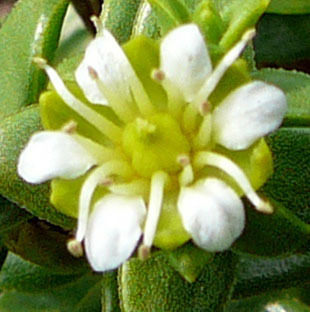 Female flowers normally have 3 styles, but sometimes more. The fruits are up to 8mm across - slightly shorter than the sepals. 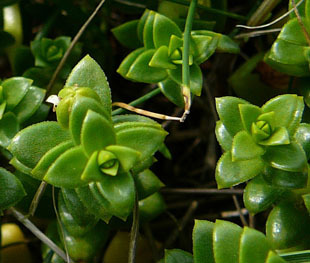 Leaves are fleshy and deep green.